I am pleased to announce that this month the First Saturday Devotion Mass at Saint Albert the Great Priory in Oakland CA will be a Solemn High Mass of St. Thomas Aquinas in the traditional Dominican Rite. This is because the First Saturday, March 7, is the solemnity of St. Thomas in the traditional calendar. Those performing the devotion of the Five First Saturdays may receive Communion at this Mass for the exercise. The Mass celebrated does not matter. Confessions for the devotion will be heard in the chapel's right transept from 9:30 to 9:50 a.m.; Mass will be at 10 a.m., followed by the Marian Rosary. St. Albert the Great Priory Chapel is located at 6172 Chabot Road, Oakland CA, 94618, where there is ample parking in the tennis court lot. Visitors and guests are welcome; pew booklets with the text of Mass in Latin and English will be provided. Please note the the First Saturday of April is Holy Saturday. 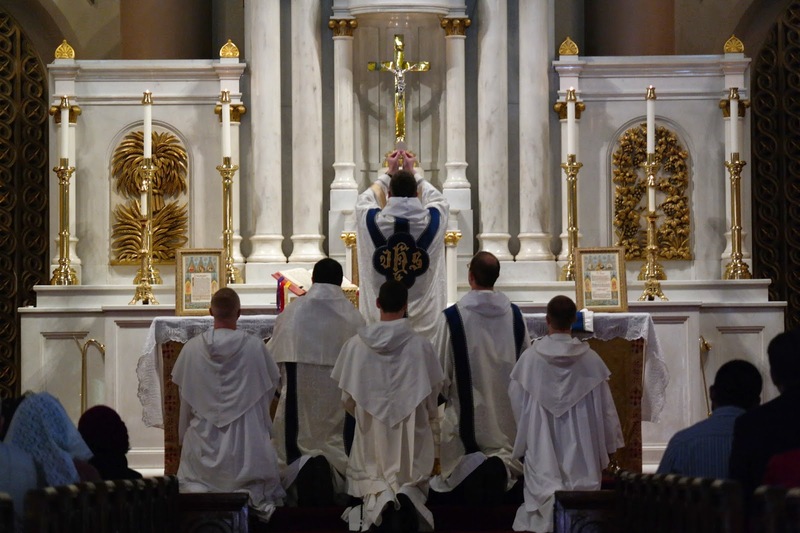 There will be no morning Mass that day, but those who wish to receive Communion for the Devotion may do so at the St. Albert's Priory Easter Vigil at 7:30 pm (Ordinary Form) or at the Easter Vigil of the Carmel of the Holy Family, Kensington CA at 11 pm, which will be a Solemn Mass in the Dominican Rite. Dominican Sung Masses will also be celebrated at the Carmel for Palm Sunday (Solemn) at 11:30 a.m., and Holy Thursday (Missa Cantata) at 4 pm. On Good Friday, a Liturgy of the Passion in the Dominican Rite will be sung at 3 pm. The Passion will be sung according to the Dominican chant on Palm Sunday and Good Friday. All of these Masses will be served by priests and students of the Western Dominican Province.